At the end of each month I am going to send out a summary of the highlights of the month and update you on our plans for upcoming trips and activities. Here is the summary for March 2018. Follow me on social media or by email to see the full posts coming up soon. When I started this trip, if you told me I was going to spend seven and a half months out of twelve in Europe I would have laughed at you! But that is how it has worked out. On the 1st of March we were in Kuala Lumpur and farewelled our daughter MacKenzie who had been with us for a couple of weeks as she got on a plane home to Australia. A couple of hours later we got on a plane ourselves, heading in the opposite direction to Copenhagen. I had set up a crazy itinerary for the next few weeks to do some serious city-hopping, mostly through Scandinavia and the Baltics. We were running out of time but there were still so many places to see! Our first job when we landed in Copenhagen was to put on some layers! We had gone from 30 degrees each day to below zero. I also had to go shopping for some cold weather boots. My hiking boots were not waterproof, and my flip flops – well, neither would cut it! I found some boots that did the job, and we spent the next few days playing in the snow, having a look around and trying not to freeze to death. It was a close call when we walked out to see the Little Mermaid statue. I couldn’t wait to get back to somewhere warm. About an hour after we landed, this is what we faced when grabbing some supplies – snow falling from the sky! The Little Mermaid in a sea of ice. If we were cold in Copenhagen, it only got worse on our next stop in Tromsø, Norway. We had come all the way here to see the Northern Lights. 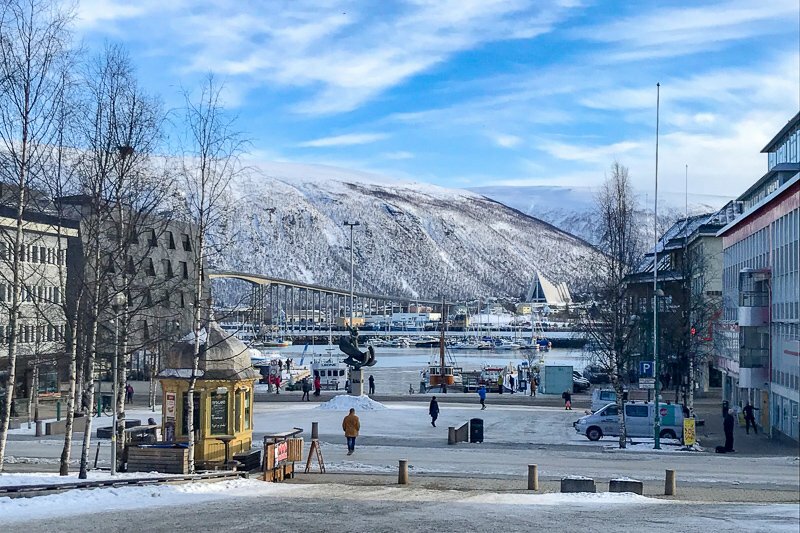 Tromsø is a beautiful little town with so much to see and do – if you can handle being outside for longer than about fifteen minutes. I really struggled with the cold, and even when we did our Northern Lights tour, it was just too cold for me to be out of the bus for any length of time. Unfortunately there are no Northern Lights photos as my camera died that day! Yes, of all the days! And unfortunately no matter how good they are, a phone camera just won’t capture the lights. 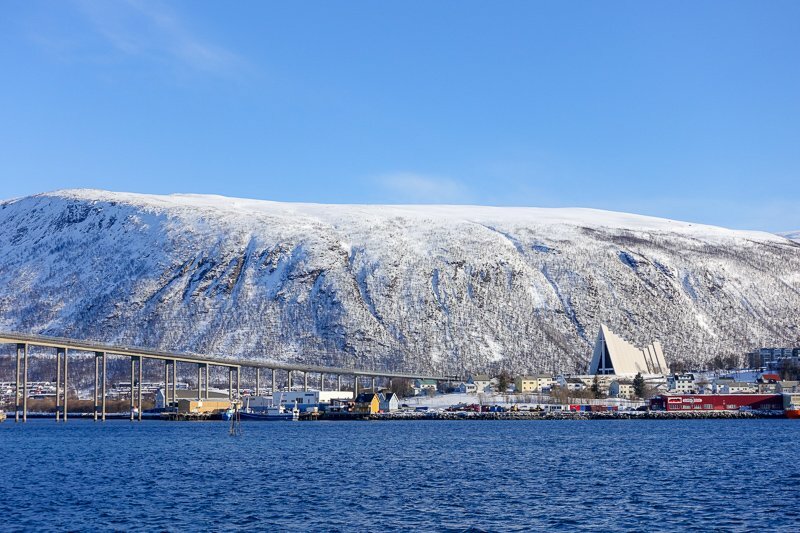 Tromso is a beaustiful little town – if you can stand the cold. Our flights out of Tromsø had a stop over in Oslo, and for the first time ever I heard the announcement about an overbooked flight and looking for volunteers to go on the next flight – only just over an hour later. We were in no hurry, so we thought why not. For our trouble we were compensated €150 ($243AUD/$186USD), plus given 200NOK ($34AUD/$26USD) in food vouchers for the airport, plus upgraded, so received lounge access for our wait and food on the flights! Not a bad payday for what ended up being an extra ninety minutes. 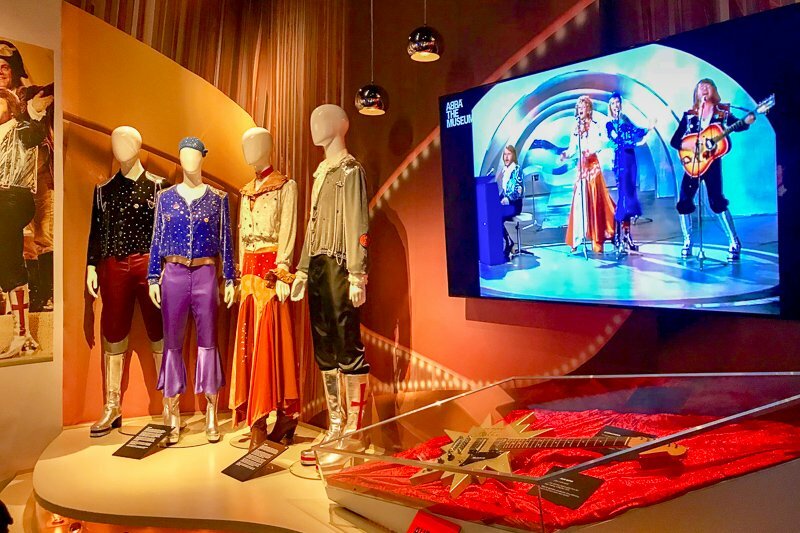 Next stop was in Stockholm, of course so we could go to the ABBA museum. My sister-in-law is an absolute fanatic, and did the trip to Sweden for the opening of the museum nearly five years ago. I loved Facetiming her from the museum (probably not what free museum wifi is for lol) so she could see it again. While we were in Stockholm we noticed we had booked flights to Helsinki a day later than planned! Whoops. It was cheaper to pay for another night of accomodation (even though we had to move hotels) than it was to change our flights, so that meant we only had one full day in Helsinki. We will definitely have to get there again, because it looked like a great city, if only we had time to see more of it. Next was an eyeopening trip on the ferry to Tallinn in Estonia. I have never seen a ferry before with a Burger King, as well as two other restaurants, a shopping mall and supermarket. It was a great trip, and I spent most of the time gazing out the window in wonder at the ice on the Baltic Sea, in all it’s various forms. The ice floating on the Baltic Sea. We could hear it crunching against the ferry as it went through. 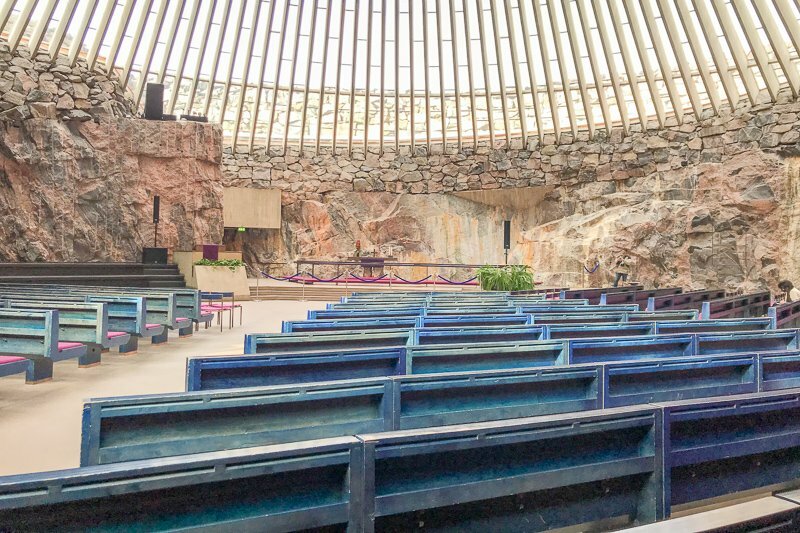 Tallinn was gorgeous. It’s one of those places with a picture perfect old town, but outside the walls a quirky, industrial, hipster area as well. We were really surprised with the Sea Plane museum. It didn’t have a whole lot to do with sea planes, although there was one hanging from the ceiling, but there was lots to see and do with boats. Boats are, well, not exactly something I’m crazy about, but I happily looked around in here for an hour or two. The highlight is Estonia’s only submarine, which we got to go inside. I would go completely stir crazy living in that confined space with 27 other people. Riga in Latvia was next, and we arrived on a beautiful sunny day. Our hopes were dashed though when we woke to do a walking tour in freezing cold weather again. We kept moving to look around the city, but the cold was still too much for us and by late afternoon we had retreated inside. The next day was even worse, with snow as well as wind, but we found a few things to do to keep out of the weather. We visited the local food markets, which are housed inside four huge hangars that were built back in the day to house zeppelins. It was on to the third of the Baltic cities, Vilnius, and again it was a beautiful, sunny day as we left Riga. The sun was still shining when we got to Vilnius too. Don’t be fooled though, temperatures were still struggling to get above zero, it was just much more pleaseant when the sun was shining too. But guess what we woke up to in the morning as we headed in to do a walking tour? Yes, snow! But it was soft, fluffy snow, with no wind. It was still cold, but the day was bearable with our guide. 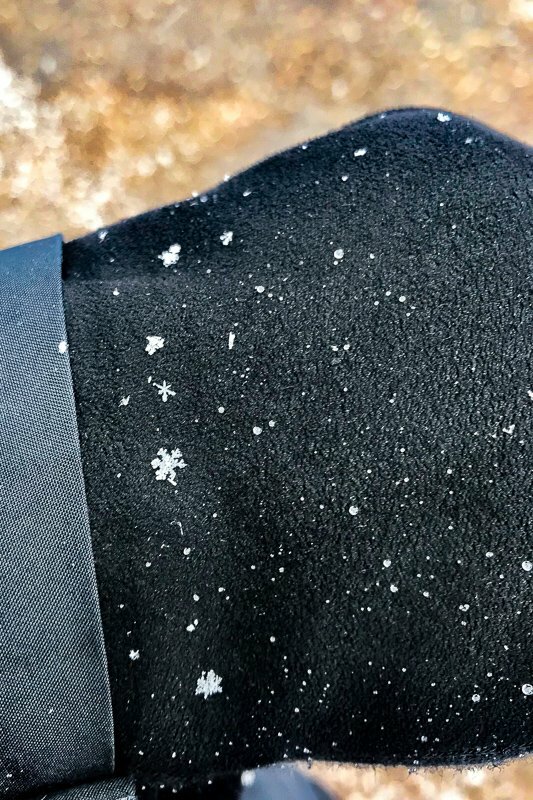 I was so excited to discover that it is actually possible to SEE the shape of snowflakes! I was like a kid in a candy shop after that! See those snowflake shapes? I was so excited! After a nine hour bus trip our next stop was Warsaw. We had a few days of luxury staying in the Hilton, so made the most of the included food and drinks. Each day we did lots of walking around the city, joining in on three walking tours in different areas. There seems to be so many different sides to this city, and we still only saw a small part of it. Our last stop for the month was Lisbon, Portugal. The day we arrived was 23 degrees and we almost melted with all our layers from boarding the plane in about 2 degrees. We had five nights in Lisbon, and as it turned out that was a good thing, since both Simon and I came down with slight colds. We were staying in an AirBnB apartment which I love because we have our own space, and having our own kitchen for meals is always a bonus. We still were able to get out and about. We did two walking tours, one a free one in the city centre to get an overview of the town and the history, and then a second tour that was only a few Euros to the area of Belém, which is were a lot of the historical monuments are, including Jerónimos Monastery where the tomb of Vasco da Gama is found. More importantly though, Belém is where you ill find the most famous Portuguese egg tarts, in a shop that has been serving them since 1837! We also took a day trip to the nearby town of Sintra, where the stunning Pena Palace is to be found. While we were exploring the back courtyard it started raining and everyone fled for cover. That gave me a chance to take a photo or two without the crowds. One month! Yes, that is all that’s left on our gap year! It’s gone so fast, but the start of it seems like a lifetime ago! We will be spending five more days in Portugal, and then we are off to the UK to spend a few days with friends. We had some spare days and I have just decided we will fly to Edinburgh to have a look around. After that it’s onto Paris where we will spend a weekend before meeting up with a few Aussie friends for a road trip down to Bordeaux. There we will attend the 2018 Bookcrossing Anniversary Convention, and I will be doing a presentation to hopefully hold the convention on the Gold Coast in 2020. After the convention, we have three days to get back to Paris. I’m still not exactly sure what we are going to do in this time, especially as there is a train strike going on in France that will likely affect our plans. We then start the trip home, which I have booked in business class thanks to our frequent flyer points. I’ve used points again to stay in a HIlton in Singapore for three days on the way, to hopefully catch up with Simon’s cousin Trisha again, eat our last noodles and chicken satays before our last flight leaves on 30th April back into Adelaide. It’s been a much better month for my blog. A lot of that had to do with the cold weather, meaning we spent a lot more time in, particularly in the evenings. We also spent longer times on buses, ferries and flights, so I was able to get a lot more writing hours in. I have actually already got a lot of the European posts written in advance which is nice. Just need to catch up on the last of the Asian ones too. I have been working hard in the background to get more traffic to some of my posts from Google, and that is slowly but surely happening. This has also lead to a couple of Booking.com bookings that fingers crossed will not be cancelled and will be a few more dollars in the kitty. Google adsense has only provided me with another couple of dollars, so again I’m not getting rich. Do not believe those Facebook ads that say this bloggng caper is a get rich quick scheme! *Note – this post may contain affiliate links. If you book using these links, then I receive a small percentage to help me fund this page. Thank you for your help. Worth all the trouble for that photo of the Little Mermaid against a frozen backdrop. Thanks Pete. It was so cold! I seriously thought about not walking there because my fingers were so painful, especially when I pulled my gloves off to take photos! But how could I visit Copenhagen without seeing her?